Get your vehicles kitted out and more powerful by finding more vehicle parts. Tinkering with a vehicle is one of the many highlights of playing The Crew 2, though to take your vehicle to new heights requires a lot of parts. With hundreds of vehicles to collect and upgrade, taking the time to collect as many parts as possible is essential, especially if players want to test everything on offer. Parts are the bread and butter of improving a vehicle, a necessary mechanic if players want to get an advantage over other racers in The Crew 2. A lot of gear parts are needed to kit out a vehicle, and thankfully, there are a few main ways of getting more parts. Competing in events is the best way to get more parts in the Crew 2. After finishing a race, several loot orbs will appear, driving into a single orb will make the others magnetize to the vehicle, so don’t worry about trying to drive into them all. As the Live Xtrem Series continues and as more difficult races become available, better parts will be rewarded at the conclusion of a race. Participating in these events is also another excellent way of making money fast. Another decent avenue of getting more parts is to find the LIVE-labelled loot crates scattered around the map. These loot crates can be hidden in a variety of locations, from hard-to-reach mountains to sitting in a park in the middle of a city. Finding these LIVE loot crates is an easy process, all players need to do is pay attention to the radar sound that sometimes pops up. As the vehicle gets closer to a LIVE crate, the radar will start to chime, increasing in intensity the closer you get to the crate. When the crate is basically next to the vehicle, it will be beeping non-stop, so take a moment and look for the neon-colored box. Face the box and hold the appropriate button that appears at the bottom of the scree to unpack the crate, revealing the vehicle parts. 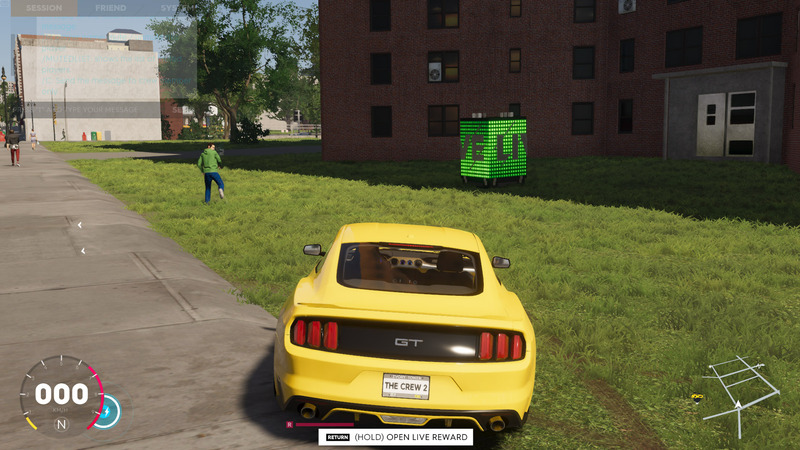 Taking the time to complete races, and then stopping to unpack any LIVE loot crates in the world, is the perfect way to get more vehicle parts in The Crew 2. With a healthy supply of parts, you should have no trouble customizing and improving any vehicle in the game.